As I sat, sweltering, on a forty-four degree day in Melbourne a couple of weeks ago, photos arrived via email from my friend in London. They were of her garden, covered in a blanket of thick white snow, complete with icicles hanging from tree branches. Depending on which season you favour, the timing couldn’t have been better. 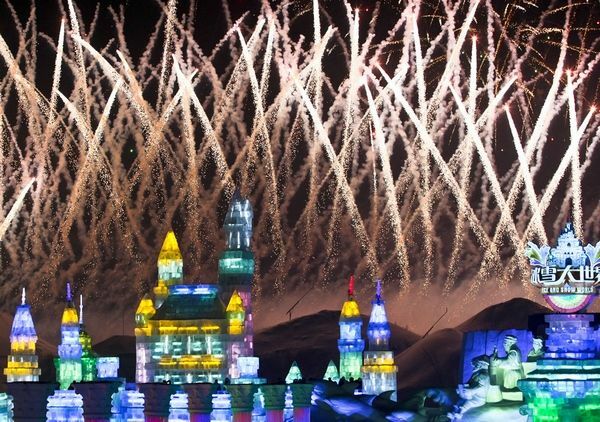 It was much the same when I spied these incredible of pictures of the opening ceremony of the Harbin International Ice and Snow Festival in Heilongjiang province in northeastern China. 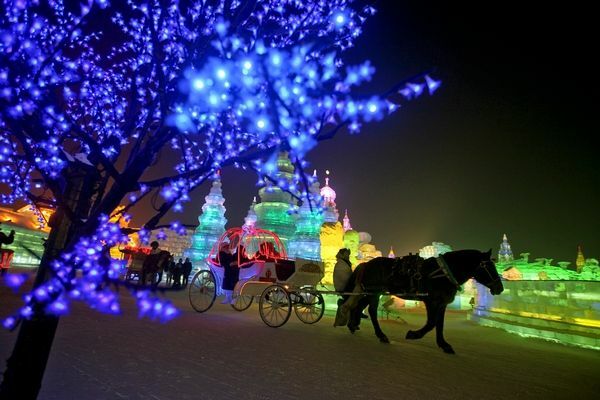 The festival, which has been held annually since 1963, begins in January and generally lasts a month, although can go longer if the cold weather holds out. And when I say cold, I mean really cold – temperatures in the city fall below minus twenty-four degrees Celsius, thanks to winter winds direct from Siberia. 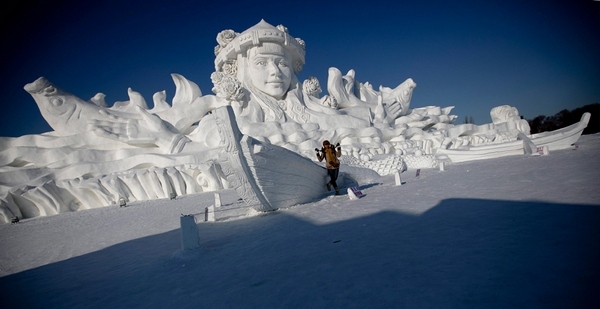 The festival showcases elaborate ice and snow sculptures and this year’s creations include castles and fairy-tale characters carved from snow. 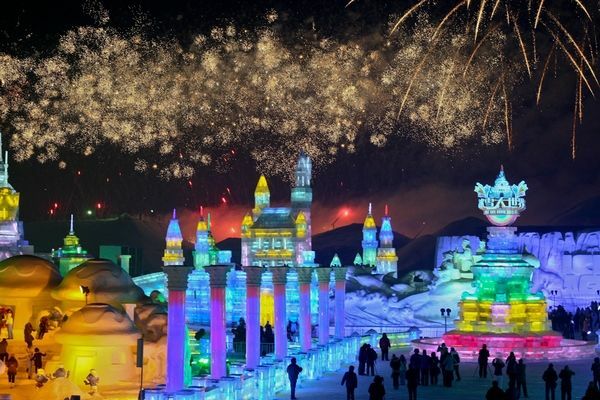 It’s a combination of old and new when it comes to lighting the incredible ice sculptures – LED lights, lasers and traditional ice lanterns provide a warm and colourful glow. 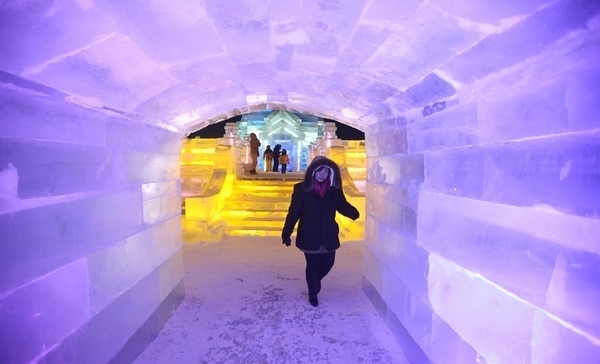 The ice used to create the enormous sculptures is taken directly from the Songhua River in enormous chunks and then sawed into ice bricks. 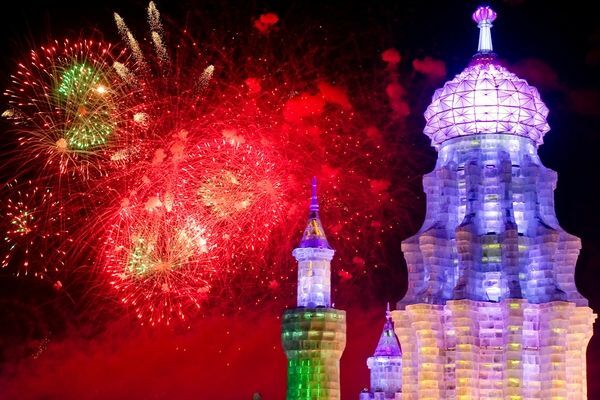 The Harbin Festival includes many attractions, notably the night-time Ice and Snow World exhibition, the snow sculptures, skiing, an ice-lantern exhibition and winter swimming in the Songhua River – I think participants in that particular event would give Sydney’s Bondi Icebergs a run for their money! 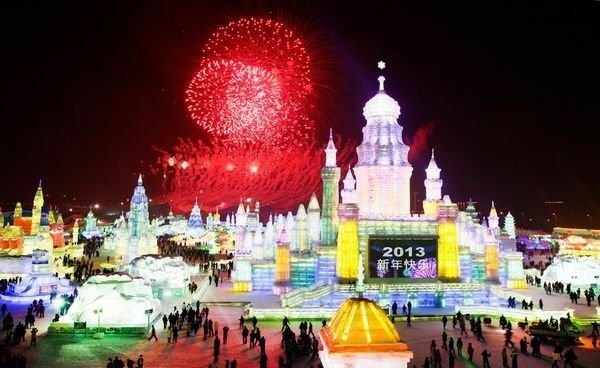 Planning a trip to China for next year’s Festival? Make your travel arrangements online through Goldman Holidays.